Last summer, Ibiza Sun Apartments invited you to take part in our special prize draw for the summer season. We wished to reward our customers’ loyalty and thank new guests for placing their trust in us. In this post we will be revealing the name of the winners and the three prizes given. Over 300 customers took part in this prize draw held last December in Ibiza to find out the name of our three winners. You can check the names below. If you’re one of our winners but haven’t yet received our email with the happy news, please check your Spam folder to see if it’s there. If your name isn’t among the winners, you’re still in time to enjoy our early birds offer until 31st January. Maybe you’ll be luckier in the next prize draw in summer 2018. Scarlet Hilton has won the first prize of our prize draw which was a free Junior Suite for two people and three nights. And the third and last prize goes to Sally, who will get a 15% discount on a Junior Suite for two people and 3 nights. Thank you all for taking part in our prize draw and thanks again for choosing Ibiza Sun Apartments for your holidays in Ibiza. We are looking forward to seeing you all in 2018. See you soon! Are you preparing your next holidays in Ibiza? 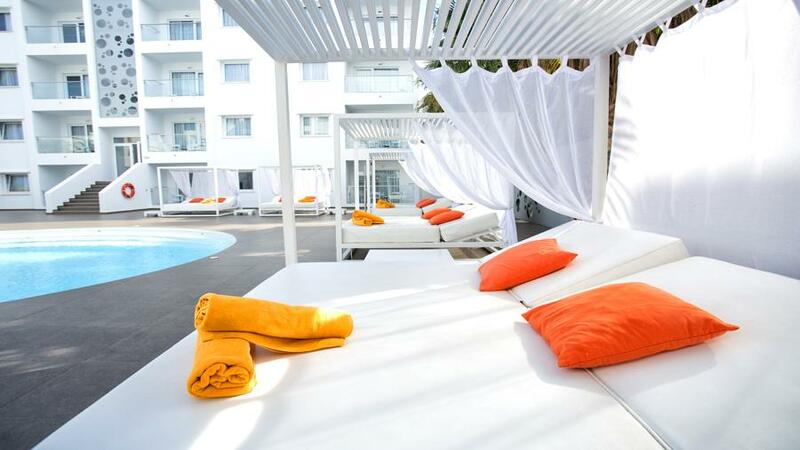 Book your stay in Ibiza Sun Apartments. We are on Playa d’en Bossa beach and our doors will be open from 12th April until 31st October. The countdown to the summer has begun and Ibiza Sun Apartments is already preparing the 2018 season to make sure that all our customers make the best of their next holidays in Ibiza. And as we believe that the first in line should always be rewarded, we have created a promotional code for those who book their stay with us before 31st January. If you’re an early bird, grab our offer and make the most of your booking. Only a few days left until the end of our special offer for Early Bookings, but you’re still in time. Simply fill in the booking form with the dates you wish to come to Ibiza and enter the word IMTHESUN (all in uppercase) in the promotional code field. You’ll get 15% off the original rate, whichever the dates of your stay and whichever type of room (Suite or Junior Suite). This offer is only available until 31st January. Get ahead of the summer and book your holidays now. For the 2018 season, Ibiza Sun Apartments will remain open from 12th April until 31st October. If you’ve stayed with us before, you already know how we work and what we offer our guests. But if you haven’t visited us yet, we urge you to read the opinions and experiences of customers who have already enjoyed their holidays at Ibiza Sun Apartments. Thanks to our work and commitment to quality, we get excellent ratings on Tripadvisor, Booking and Google+. What does Ibiza Sun Apartments offer? - Fantastic location in the tourist resort of Playa d’en Bossa, only a 5 minute walk from the beach. - Large Suites and Junior Suites with a kitchen and sitting-room. - Two swimming pools, jacuzzi, gym and pool bar. - Our Thai restaurant, Sun Thai. - And professional and helpful staff that will always be delighted to help you make the most of your stay with us and your holidays in Ibiza. Is this your first time at Ibiza Sun Apartments? Check out our hotel with the 360º tour on our website and picture yourself enjoying your next holidays in Ibiza.